A stent is made of biologically inert stainless steel or stainless steel derivative, and as such, should not react with the body at all. There are certain individuals who have nickel allergies in which certain types of stents should be avoided, and that should be made known to the cardiologist before the interventional procedure. After the stent is implanted, the body will cover the stent with skin, so that after a matter of time, you will not have exposed metal surfaces visible if you were to, for example, naturally drive down the middle of the artery. 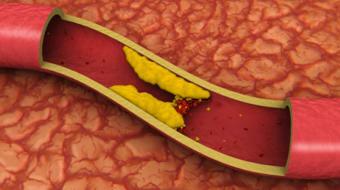 As such, stents do not need to be replaced or explanted, and they stay in the body for the duration of one’s life. Stents are highly effective for what they’re designed to do, which is to relieve obstruction from cholesterol blockages to improve symptoms, and in the cases of heart attacks, open up plugged vessels to relieve damage to heart muscle from lack of blood flow. Having said that, it should be recognized that putting a stent into someone is essentially putting a foreign body where a foreign body should not have been put in to begin with. It is, unfortunately, in many cases medically necessary, but there are one or two expected complications that may occur. Firstly, by putting a foreign body in, you run the risk of having scar tissue formation from a response to injury, and certain types of stents may clog up, not with cholesterol but with scar tissue. In individuals who are at risk for developing scar tissues, special types of stents coated with medications to prevent scar tissue division and formation can sometimes be used. In addition, when a stainless steel tube is placed inside an artery, it sometimes will injure the artery, and the body's response to an injury is sometimes it will bleed, and if part of the body bleeds it can sometimes form a clot, and so another complication of a stent is that sometimes you can form clots at the site of the stent implantation, therefore it's critical that after a stent is implanted powerful blood thinners need to be taken for a number of months. One of these drugs includes Aspirin, the other drug will include the cousin of Aspirin, known as Clopidogrel or ticagrelor or prasugrel for a certain period to prevent clot formation within the stent. 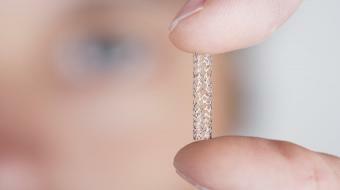 Stents are made out of stainless steel mesh. 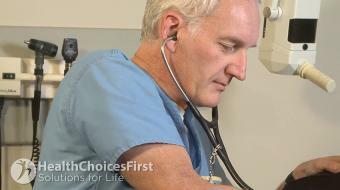 Stents are only meant to last 10-15 years before they need to be replaced. Stents are used to open up plugged vessels and/or relieve an obstruction within an artery in order to restore blood flow to the heart muscle. What is a Heart Attack? " Patrick a 70-year-old diabetic man with a 2-year history of stable chest pain"